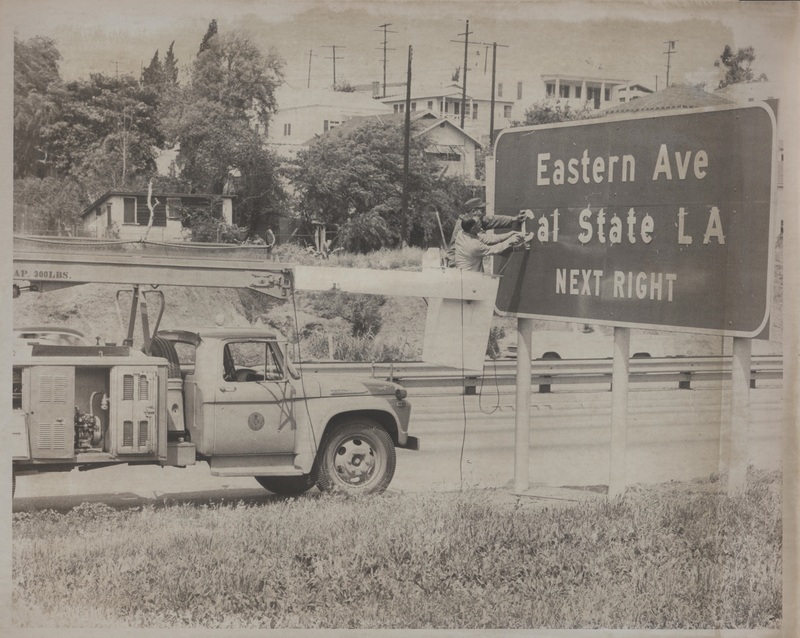 The University Archives collects and preserves official records, documents, publications, digital and electronic files, audio-visual media, and other materials in all formats documenting the history of Cal State LA. Cal State LA is located on the site of one of California's 36 original adobes, built in 1779 by Franciscan missionaries and destroyed by fire in 1908. 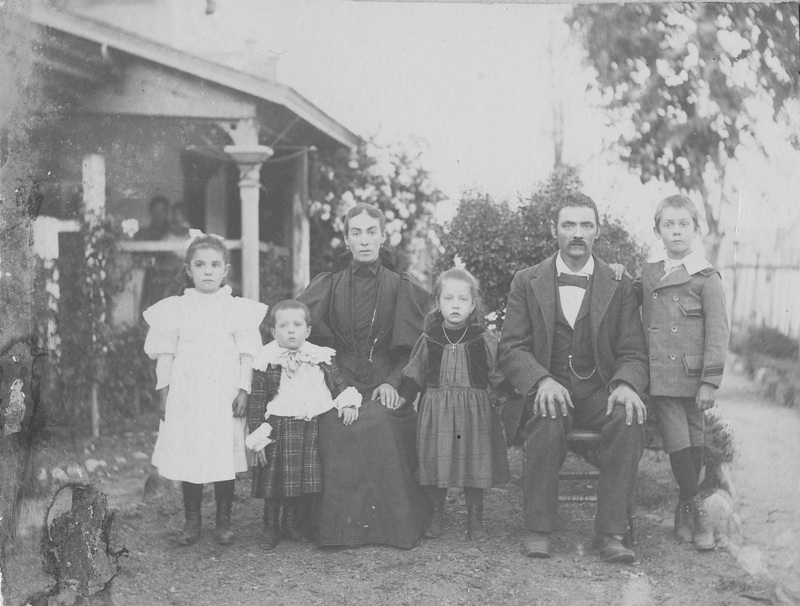 These lands were once known as Rancho Rosa Castilla, given to Juan Batista Batz, a Basque rancher from Northern Spain who settled here in the 1850s (Batz Family pictured above, Pictures of Our Past Collection). 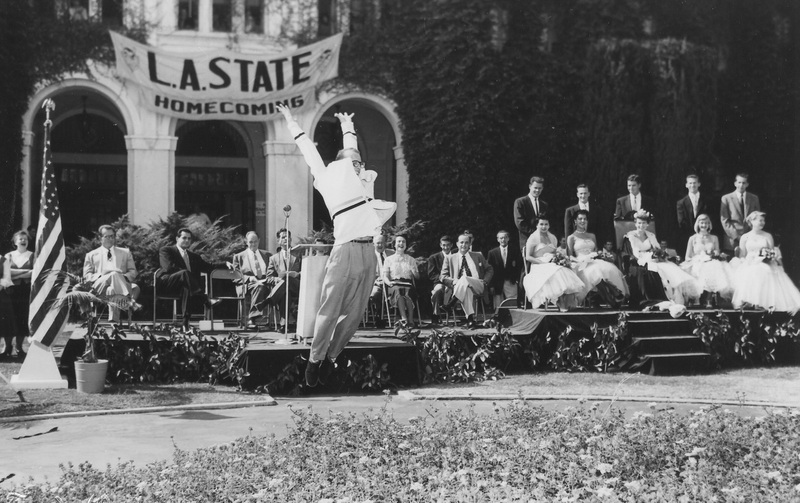 Los Angeles State College, founded by an Act of the California legislature, opened for classes on the campus of Los Angeles City College. 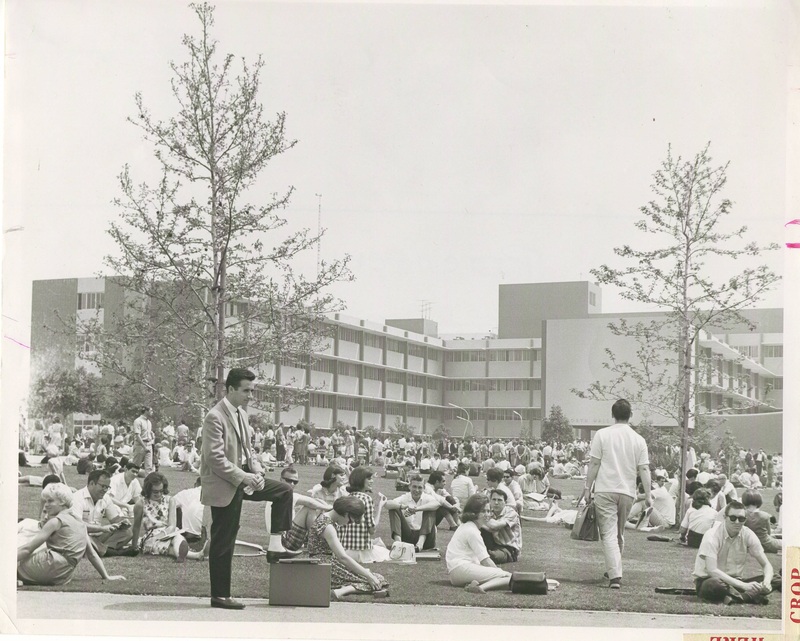 In 1964, Los Angeles State College was officially renamed California State College at Los Angeles and became part of the California State College system. In 1972, the college received University status and was officially renamed California State University, Los Angeles (Cal State LA). In 1968, Cal State LA established the nation's first Chicano Studies program. In 1993, the CSU Chancellor and Trustees approved the development of Cal State LA's Charter College of Education, creating the first such college of higher education in the nation. The original mascot of the school was the "Diablo". In 1980, new university President James Rosser adopted a new mascot, "Eddie," the golden eagle, designed to reflect the diversity of the campus community. The University Times (1972-Present) is the student-run newspaper of California State University, Los Angeles. It was issued as the College Times from 1948 to 1971, and was named the best newspaper by the California Intercollegiate Press in 1965. When the college acquired university status, the publication was officially renamed to University Times. 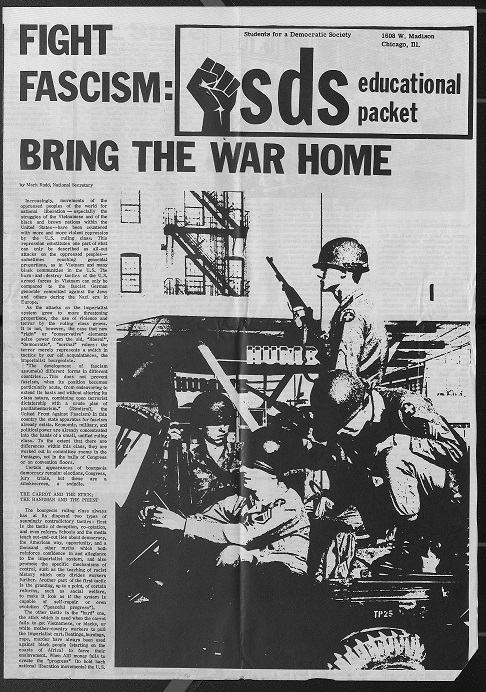 Los Angeles State College began publishing an evening newspaper, the Night Times (1954-1961) to help introduce newly enrolled veterans to their classmates, activities and college life. Enrollment spiked as a result of the enactment of the GI Bill which provided a range of benefits, including educational assistance to returning World War II and Korean War veterans. Very similar to today's student body, these newly enrolled students attended classes in the evening and worked a full-time job during the day. The collection includes yearbooks from 1948 to present. The yearbook was not published between 1968-1975 as a result of anti-establishment philosophy held by many students. The materials in this collection were created between 1968-1978. The entire collection consists of posters announcing events presented by the Chicano Studies Department at California State University, Los Angeles. The events include Feria De La Raza and the United Mexican-American Students Present "Community Day on Campus." The collection includes over 30,000 photographic prints and over 20,500 negatives. The photograph collection is comprised of images captured by the Office of Public Affairs. Many of the photographs were used in University publications over the years and were taken by staff photographers. Captured by Marion Graff, a retired faculty member the collection consists of 146 photographic slides depicting campus views dating during the 1960s to the 1970s. Images include South Hall, New Science Building, Administration Building, Bungalows, Student Affairs, Fine Arts, and Neurological Center. The collection consists of the files of emeritus professors and Cal State LA faculty. Originally maintained by the Dean's Office, the faculty files are a rich source for historical research, and include materials such as biographical information, photographs, and articles. Los Angeles County High School of the Arts, also known as LACHSA is a Visual and Performing Arts high school established in 1985 by Caroline Leonetti Ahmanson. Ahmanson was an American fashion consultant, businesswoman and philanthropist. LACHSA is a small learning community fully integrated within the campus of California State University, Los Angeles. The school serves 600 culturally and socio economically diverse teens from more than 80 school districts in the county. The Rare and Unique Books Collection includes examples of fine printing; works produced by outstanding presses; signed and/or limited editions; fine arts books or portfolios with plates; works published before 1800; works of historical value; works with unusual format, physical condition, or content; and rare, unique, fragile, or irreplaceable works. With approximately 8,000 books (750 linear feet), some other notable items include: a copy of The Kelmscott Chaucer (1896); a collection of Upton Sinclair pamphlets, brochures and memorabilia, primarily concerning his unsuccessful bid for Governor of California in 1934; a 1783 edition of Reales Ordenanzas para la Direccion Régimen y Gobierno del Importante Cuerpo de la Mineraría de Nueva-España; and a twelve volume set of Leonardo da Vinci's Codex Atlanticus. Arthur M. Applebaum, an entertainment and corporate attorney, made five contributions of theater related books to the University, many of which were added to the regular circulating collection.The Arthur M. Applebaum Theater Arts Collection consists of approximately 150 linear feet of published (books) plays. The Pollard Collection of Children's Books, donated in 1967 by biochemist John K. Pollard, is comprised of works by American and English authors of the late 19th and early 20th centuries. 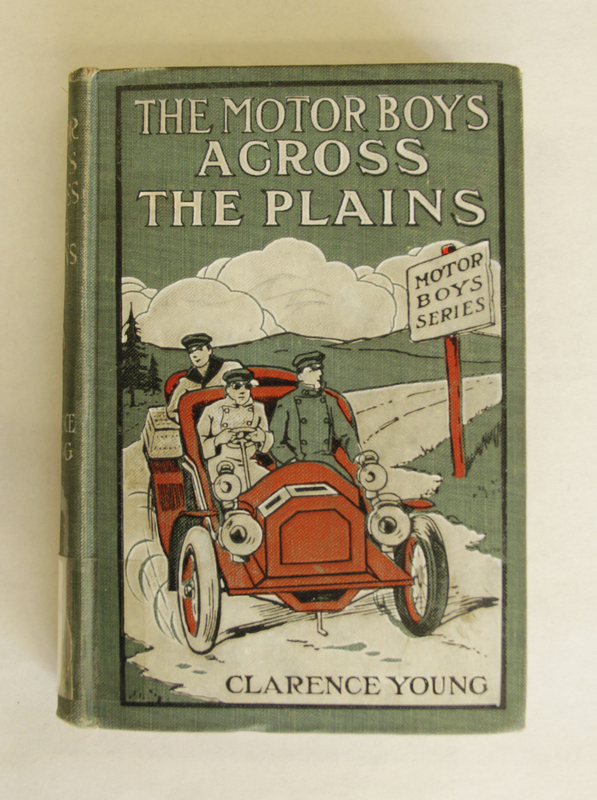 Notable authors include; Horatio Alger, Victor Appleton, William Baker, Gerald Breckenridge, Thorton Burgess, Edgar Rice Burroughs, Allen Chapman, Elmer Dawson, Fremont Deering, J. W. Duffield, Leo Edwards, Edward Ellis, Percy Fitzhugh, Howard Garis, Lillian Garis, Zane Grey, H. Irving Hancock, William Heyliger, Laura Lee Hope, Howard Payson and Harold Sherman. All are first or limited editions. The collection totals approximately 2,650 titles, or 91 linear feet. 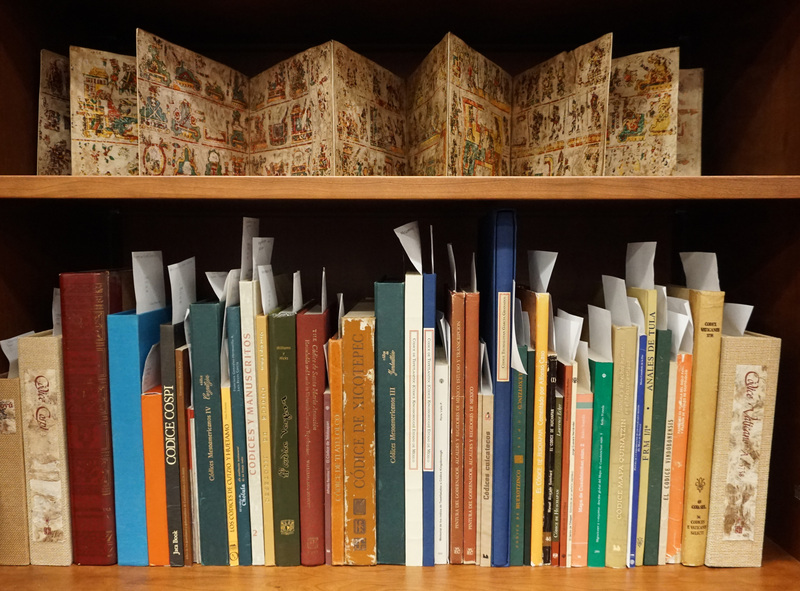 The Mesoamerica and Colonial Mexico Rare Book Collection is comprised of three collections: Ruwet, Glass and Nicholson. The three collections amount for approximately 7,000 books and documents that include the papers and research works of three donors. The collection is divided into three large groups: The Mesoamerican, the Colonial, and the Independent periods that form the sequence of the history of Mexico from the 16th to 20th century. The collection includes facsimile editions of the Pre-Columbian Codices, such as the Borgia, Nuttall, Fejervary-Mayer, Vaticanus A and B, Selden, Borbonicus, Boturini, Mendoza, De la Cruz-Badiano, Florentine Codex. Some of the editions are accompanied by analysis and annotations by 19th and 20th century scholars such as Alfredo Chavero, Francisco del Paso Y Troncoso, Eduard Seler, Jose Fernando Ramirez, among others. An exhibition catalog is a work published to document an exhibition, and includes a list of works exhibited. It may also contain illustrations, introductory essays, analyses of the works of art, biographical information on the artists, etc. Perry Robert Long was a printer with a distinguished national reputation. In 1959, the University Library at Cal State LA was selected by a committee to receive Mr. Long's collection of books on printing and graphic design consisting of approximately 3,000 titles, or 360 linear feet, of rare and beautiful books of, and about, fine printing. 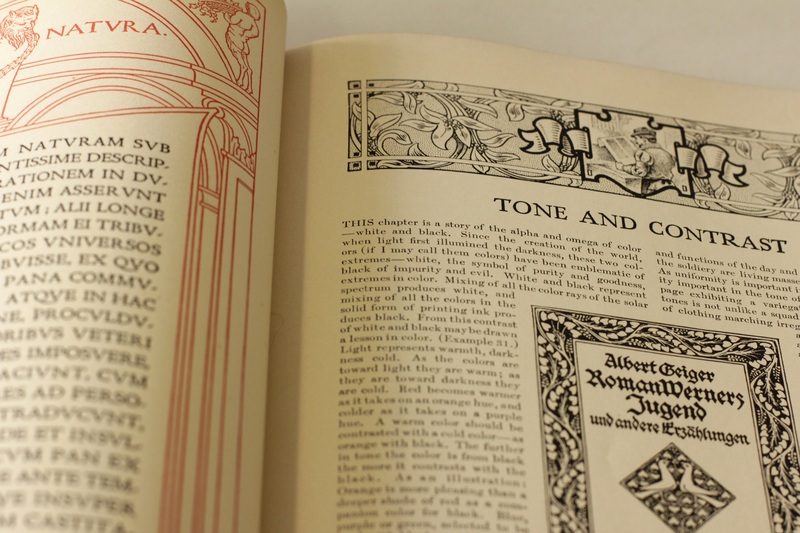 It is one of the largest collections of typographica on the West Coast. It includes works on the art and science of typography, paper making and color printing, graphic design, book binding, printer's manuals, and histories, as well as ephemera, keepsakes, announcements, broadsides, and other examples of fine printing. The collection also includes a rare Washington handpress. It was manufactured in the United States between 1821 and 1910, by Paul Shniedewend. It was presented to the University in memory of Gordon J. Holmquist in 1966. The Manuscript Collections are comprised of local history materials, film and music collections, and a range of political materials including public official correspondence, pamphlets, and clippings. While manuscript literally means handwritten, the term 'manuscript collection' is often used to describe unpublished mixed media, i.e. typescripts, photographs, diaries, scrapbooks, news clippings, and printed works. The collection contains approximately ten hours of songs and poems by Salvadoran refugees recorded in the UN refugee camp of Mesa Grande, Honduras in August 1983. The audio recordings are accompanied by text files containing hand-written field notes for all of the tapes, loose sheets of song lyrics, the published book and an audio cassette of Escuchen Nuestras Voces/Her our Voices (Sabiá,1984). Gloria Arellanes (1946- ) is a political activist, former member of the Brown Berets and co-founder of "Las Adelitas de Aztlan," a Chicana feminist group active during the Chicanx Civil Rights Movement. The collection includes political flyers and broadsides, newspapers, books, buttons, posters and photographs dating from 1967 to the late 1970s. Founded in 1968, The East Los Angeles Community Union (TELACU) is a non-profit community development corporation with a mission to create greater opportunities, services, and affordable housing in underserved communities. Today, TELACU provides scholarships for Latino students through the Latino Education Foundation. With materials from 1957-1981, the collection is comprised of surveys, community development and environmental plans, proposals, contracts, correspondence, photographs, and film. Community plans consist of health care center construction plans, road construction and worker rights assistance. 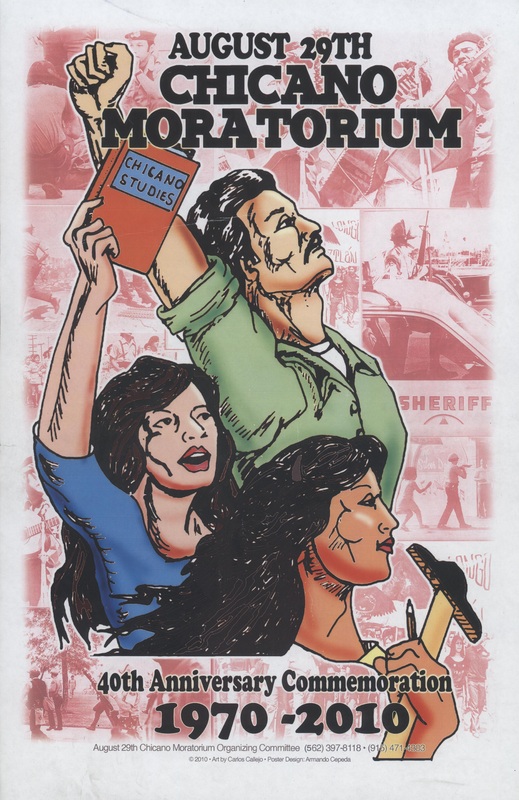 The Jose R. Figuera collection consists of posters and publications produced by El Teatro Campesino, Teatro de la Gente, and Teatro Urbano, and includes materials related to the history of Chicanx/Latinx struggles and activism during the Chicanx movement in Los Angeles. The collection also contains photographs of the guerrilla military and political organization in El Salvador, Fuerzas Populares de Liberacion (FPL). InnerCity Struggle (ICS) works with youth and community residents to promote safe, healthy and non-violent communities in the Eastside of Los Angeles. ICS began as a project of Proyecto Pastoral at Dolores Mission and launched as its own independent community organization in 1994. The collection contains a wide variety of InnerCity Struggle (ICS) publications, youth program materials, student writings and photographs, and newspaper clippings. The collection also includes ephemera with items such as posters, buttons, t-shirt and a commemorative ICS anniversary pocket watch. Mexican-American Baseball in Los Angeles: From the Barrios to the Big Leagues was a collaborative event developed by the Baseball Reliquary, a Pasadena-based nonprofit organization, and the Cal State LA, John F. Kennedy Memorial Library. The project focused on the historic role that baseball played within the Mexican-American communities of Los Angeles County and the greater Los Angeles metropolitan area. The collection consists of materials related to the project's exhibition (March 26-June 9, 2006) and opening reception on April 9, 2005. The exhibition and the project moved to CSU, San Bernardino in 2008 and was renamed, The Latino Baseball History Project: The Southern California Experience. 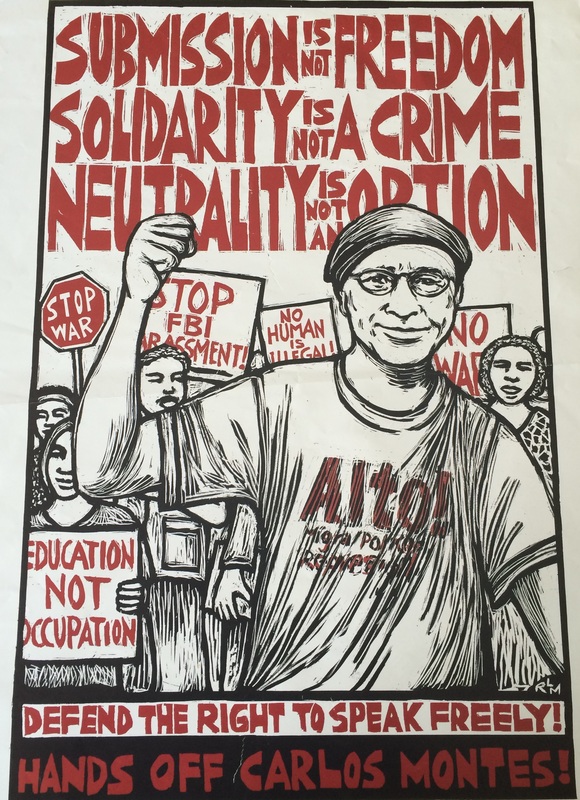 Carlos Montes (1947- ) is a nationally respected leader in the Chicanx, immigrant rights, and anti-war movements. 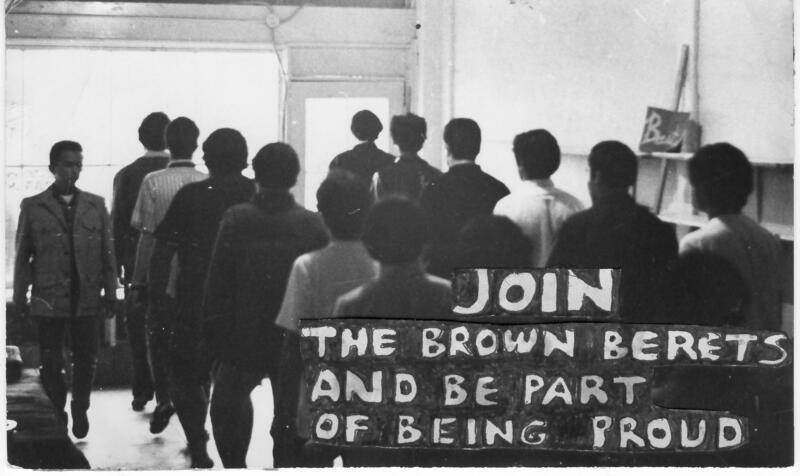 He helped to lead the Brown Berets into a national organization with chapters in the Southwest and in 1967 organized the first protest against police brutality at the East Los Angeles Sheriff's station. The materials in this collection were created between 1948-2014, and include subject/topical files and legal documents related to the State of California vs Carlos Montes, Biltmore Case and the East LA 13 court case. Smaller series include publications, newsletters, newspaper clippings, newspapers, political announcements & flyers, correspondence, posters, scrapbook, and ephemera. David Sandoval is the former Director of the Cal State LA Educational Opportunity Program (EOP). In the 1960s, he was a student and community activist (UMAS, MECHA, Brown Berets), combining his media talents with his concern for the community by writing and producing short video and film documentaries. The collection consists of writings and publications collected by David Sandoval between 1981-2008. Writings and publications include drafts of Sandoval's presentations, magazines, journals, newspapers related to civil rights issues, and the plight of low-income and educationally disadvantaged students. The collection is comprised of over 300 motion picture and television scripts, totaling 12 linear feet. The bulk of the material was donated by the Theater Arts Department in the late 1970s. Titles include; "Ace Eli and Rodger of the Skies," a 1971 screenplay by Claudia Salter from an original screen story by Steven Spielberg, and "Terror town," an Alfred Hitchcock Hour teleplay. Ivan N. Cury (1937- ) worked as a free-lance writer, producer and director in New York and Los Angeles. His credits include The Young and the Restless, The Dukes of Hazzard, All My Children, The Facts of Lifeand television special Nashville Remembers Elvis on His Birthday. Cury also worked at multiple universities including Loyola-Marymount University, UCLA and Cal State LA. While at Cal State LA, he taught Introduction to Studio Production, Documentary Production, and Directing for Television. The materials in this collection , created between 1977-2000 include television scripts and stage maps. Anthony Quinn (1916 - 2001), best known as an actor, starring in such films as Lawrence of Arabia (1962), Zorba the Greek (1964), and La Strada (1954), was also a writer and visual artist. Quinn became involved in civil rights movements throughout the United States. In 1970, he served as a panelist at the Mexican-American Conference, and attended events for La Raza and other groups. The Anthony Quinn Collection contains approximately 200 film scripts, or 20 linear feet, consisting of materials created between 1940 and 1972. 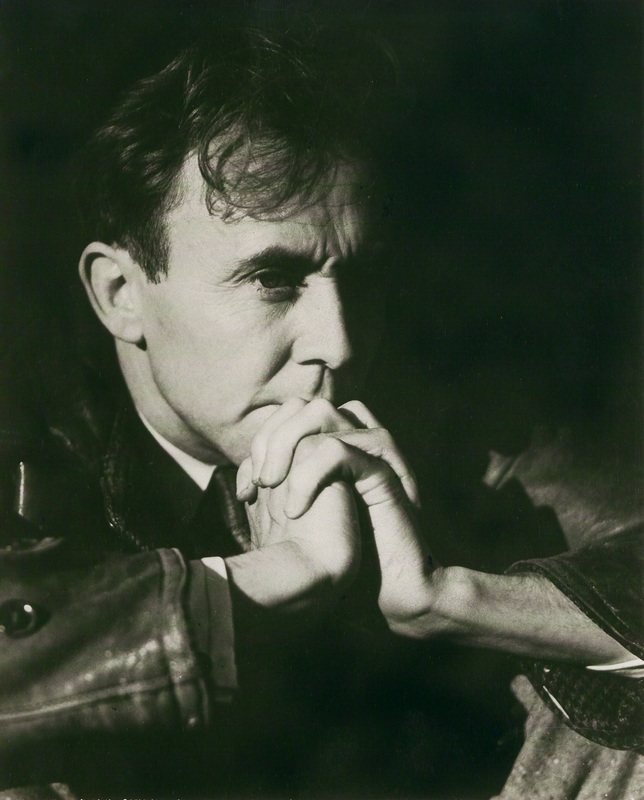 The scripts and outlines contain film scripts, theater plays, teleplays, and pre-production film materials, and include correspondence and research materials related to film projects and Quinn’s appearances. A historic Los Angeles neighborhood, Boyle Heights was diversely populated by Jewish, Latino, Russian, and Japanese Americans in the early to mid-twentieth century, and was at one point home to the largest Jewish community in the Western United States. This collection represents the initial accession of the Boyle Heights Archive in 2005. This archive was initiated to serve as a setting for studies that explore the ongoing history of Latino/Chicano/Jewish community relations of Boyle Heights. 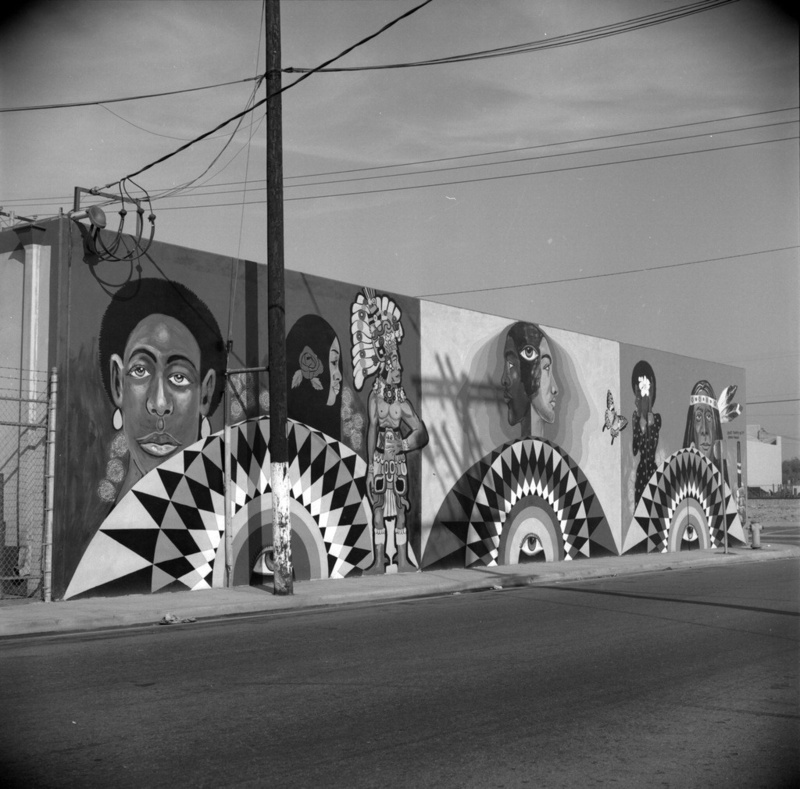 The Compton Communicative Arts Academy (CCAA) Archive is comprised of a collection of images from photographer, Willie Ford that document African American art and culture, community-based art making, and art-based community making in Los Angeles during the early 1970s. The 200 items in this digital collection were selected from a collection of over 4,100 photographs, negatives, slides and ephemera by faculty members from the Library and the Liberal Studies Department. The Federal Employee's Distribution Company (FEDCO) was founded in 1949 by 600 Los Angeles area postal workers. By 1984, FEDCO had nine stores with membership growing to over 3 million. Over time, deep discount merchandisers such as Wal-Mart and Costco drew large segments of FEDCO's business and in July of 1999, FEDCO filed Chapter 11 bankruptcy. With materials dated between 1957 and 2000, this collection consists of photographs, publications, sale books, and achievements related to FEDCO and its partners. Leroy Ellsworth Harris (1898 - 1979) was world renowned American composer. In 1973, while a member of the Cal State LA Music Department faculty he donated his papers and musical works to the University. The collection consists of approximately 3,000 leaves of original manuscripts and sketches; copies of published and unpublished works; 15,000 letters and other memorabilia; commercial and noncommercial recordings of the major portions of Roy Harris' works, and the complete holdings on microfilm of Harris papers owned by the Library of Congress. In 1987, Mrs. Johana Harris added approximately 70 linear feet of documents, bringing the total to approximately 180 linear feet. Stanley Newcomb Kenton was a renowned bandleader, pianist, arranger, and composer of modern jazz. He made worldwide concert appearances, billed as "artistry in rhythm," progressive jazz, and innovations in modern music. 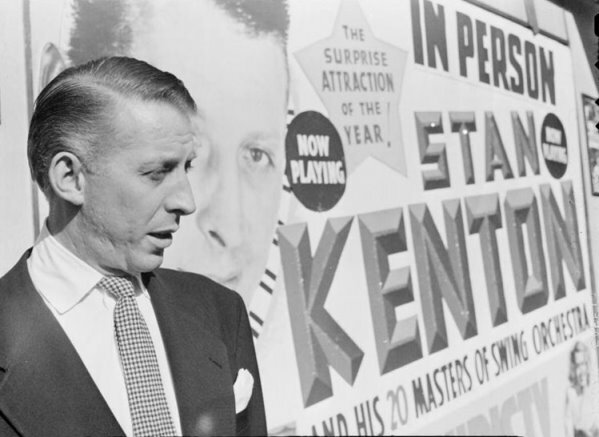 In 1980, the University received the Stan Kenton Collection from his wife Audree Coke, Director of Kentonia, Inc. Approximately 40 linear feet, the collection includes taped radio concerts, interviews, and commercial recordings; honors and awards; scrapbooks; posters; newspaper clippings; programs; and photographs of Kenton and his band dating from the early 1940s, with the bulk of photographs dating to the 1960s and 1970s. The California Arts Commission Collection, consisting of 170 orchestral scores and parts (30 linear feet), was donated to Cal State LA by the California State Library in 1979. The collection includes works by a number of composers: Bach, Beethoven, Berlioz, Borodin, Brahms, Debussy, Dvorák, Elgar, Franck, Haydn, Mahler, Mendelssohn, Mozart, Musorgsky, Prokofiev, Rachmaninoff, Rinskii-Korsakov, Rossini, Saint-Ssaëns, Schubert, Schumann, Shostakovich, Sibelius, Stravinsky, Tchaikovsky,Wagner, and Weber. Each work includes a conductor's score and a complete set of orchestral parts. Jeffrey Jones, grandson of composer Harry Warren, died at the age of nineteen. Jeffrey's mother, Cookie Jones donated his collection of sheet music and music anthologies to the Library in 1989. Included are over 10,000 popular music scores, or approximately eighteen linear feet, dating from the middle of the late twentieth century. Glenn Jordan was associated with light opera musical companies throughout the United States and was director of the Los Angeles Civic Light Opera from 1971 until his death in 1976. In 1986, Mrs. Glenn (Lucy) Jordan donated Mr. Jordan's collection of nineteen light opera musical scores, eight-nine musical scripts and seventy-four individual files with photographs and other related documents. The collection totals 21 linear feet. 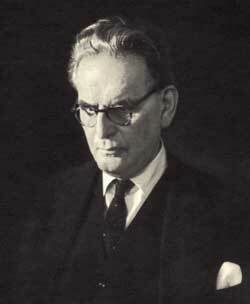 Otto Klemperer was one of the leading German conductors of his generation and was a conductor of the Los Angeles Philharmonic Orchestra between 1933-1939. Approximately 12 linear feet, the Klemperer Collection was presented to the University in the mid-1970s. It consists of 215 orchestral scores,or approximately 12 linear feet, including works by Bach, Bartok, Beethoven, Bloch, Brahms, Britten, Bruckner, Busoni, Kelius, Gluck, Grieg, Handel, Hindemith, Krenek, Liszt, Mahler, Malipiero, Mendelssohn, Milhaud, Mozart, Musorgsky, Pfitzner, Prokofiev, Respighi, Schönberg, Schubert, Richard Strauss, Stranvinsky, Tchaikovsky, and Wagner. Many include Klemperer's conducting notations. Jimmy McHugh has been hailed as the most successful Irish-American writer of popular songs since Victor Herbert. He wrote such tuneful melodies as I Can't Give You Anything But Love, Baby, I'm In The Mood For Love, Don't Blame Me, On The Sunny Side Of The Street, It's A Most Unusual Day, You're A Sweetheart, and Comin' In On A Wing And A Prayer. The collection at approximately 4 linear feet, consists of over 550 songs from the late nineteenth Century to the early 1970s. In 1966, under the direction of the University Librarian, Morris Polan, Cal State LA became the repository for the Public Officials' Papers, a series of manuscript collections of prominent Los Angeles government officials. Richard Alatorre served as a California State Assemblyman from 1973-1983 and as Los Angeles City Councilman from 1985 -1999. Approximately 38 linear feet, the collection consists of papers from Alatorre's tenure as State Assemblyman of the 55th District. 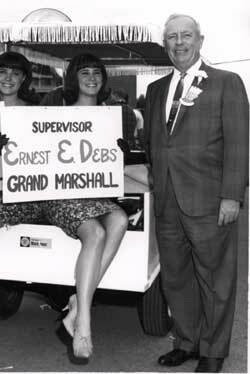 Ernest E. Debs (1904-2002) represented the 56th District as State Assemblyman (1942-1947), the 13th District as City Councilman (1947-1958), and the 3rd District on the County Board of Supervisors (1958-1974). While in the State Assembly, he authored the bill establishing California State University, Los Angeles. As County Supervisor, he chaired thirteen major departments, and served on numerous other committees. The collection is approximately 182 linear feet and contains manuscripts from his tenure as County Supervisor. 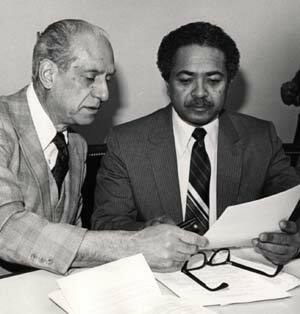 Julian C. Dixon (1934-2000) served as a California State Assembly Member of the 49th Assembly District, and as a member of the U.S. House of Representatives from the 28th and 32nd Congressional Districts. Dixon graduated from California State University, Los Angeles in 1962. The materials in the collection include California Assembly files, press clippings, general office files, press releases, speeches, and photographs. Mervyn Dymally (1926-2012) served as California State Assemblyman for the 52nd and 53rd District, and as State Senator for the 29th District. Dymally completed a Bachelor of Arts in education at California State University, Los Angeles in 1954. Dymally is known for breaking barriers as a black lawmaker in California and in Congress after moving to the United States from his native Trinidad at age 19. The collection consists of government correspondence, press clippings, press releases, speeches, and photographs. John C. Holland (1893-1970) was one of the longest serving Los Angeles City Council members, serving from 1943-1967. One of few who opposed the proposal, Holland was City Councilman during the contentious decision to abandon public housing plans in Chavez Ravine, and instead move forward with the construction of Dodger Stadium. The collection contains one of the very few remaining original eviction notices mailed out by the City of Los Angeles Housing Authority to residents of Chavez Ravine. Julian C. Nava (1927- ) served on the Los Angeles City Board of Education and was a United States Ambassador to Mexico. Nava grew up in East Los Angeles and studied at East Los Angeles Community College before transferring to Pomona College. In 1955, Nava received his Doctorate in Latin American History from Harvard University. Nava is currently retired and holds the title of emeritus professor at CSU Northridge. The Cal State LA thesis collection includes masters theses written by Cal State LA graduate students as part of their degree requirements. As records of original research, the collection is actively read and referred to by Cal State LA students, outside research and alumni. All theses (print and digital) are discoverable through the library catalog, OneSearch. The Library provides access to theses published after Winter 2012 in full text electronic format. All electronic copies can be accessed by author, title or keyword search via OneSearch. The print thesis collections consists of preservation copies housed in the Special Collections and Archives unit of the JFK Memorial Library, located in the Palmer Wing, Room 2079. It is a non-circulating collection and can be accessed through walk-in appointments. To schedule an appointment in advance, please fill out our Collections Appointment Form. Should you have any issues accessing a title, please contact us at specialcollections@calstatela.edu or (323) 343-3960.